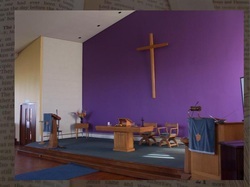 Rubislaw Church enjoys a very positive relationship with its neighbouring churches in the area: Queen's Cross and Midstocket Church of Scotland, St Mary's Scottish Episcopal and the Sisters of the Community of the Sacred Heart of the Roman Catholic Church. 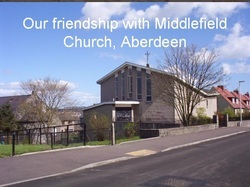 For many years we have shared a special friendship with Middlefield Church of Scotland in the north of Aberdeen. We have times of joint worship twice a year and members of Rubislaw Church share in the leadership, pastoral care and music at Middlefield Church.